Former WBC light heavyweight champion Adonis ‘Superman’ Stevenson 29-2-1 (24) is reportedly in intensive care in hospital following his eleventh round knockout loss to Oleksandr ‘The Nail’ Gvozdyk 16-0 (13) in Quebec City, Canada on Saturday night. The 41-year-old Haitian-born Canadian’s promoter Yvon Michel wrote about the boxer’s condition in a post on social media. “The family of @AdonisSuperman and the leaders of Groupe Yvon Michel are currently with Adonis Stevenson,” the statement read. “They wish to inform friends and supporters that Adonis is currently in critical condition in intensive care at the hospital, following his fight against Oleksander Gvozdyk. Stevenson was making the tenth defence of his WBC 175-pound world title that he won with a first-round knockout of Chad Dawson five-and-a-half years ago. Stevenson controlled much of the early action and was leading on two of the judges’ scorecards 98-92 and 96-94 while the third judge had the fight even at 95-95 after the tenth round. The 31-year-old Ukrainian challenger rallied to knockout the southpaw champion at 2:49 of the eleventh round. Stevenson was put on a stretcher and left the Videotron Centre in an ambulance after the fight. 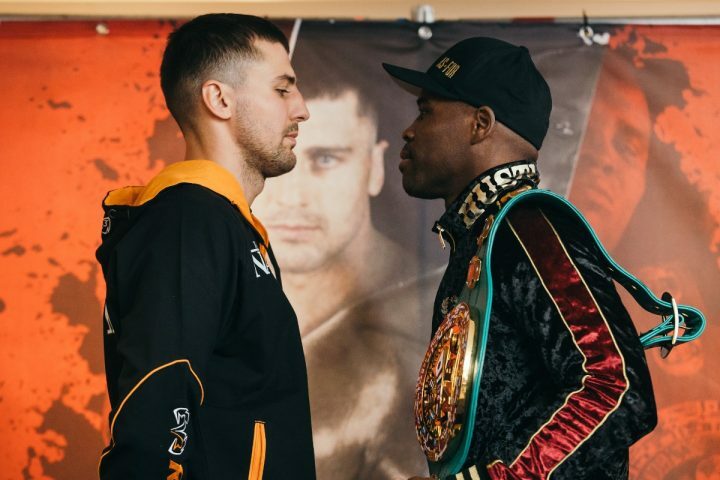 Gvozdyk , the favourite going in to the fight against the long-reigning champion, praised his new trainer Teddy Atlas for helping him secure the victory. “This win means everything to me. I’ve trained my whole life for this and tonight all of the hard work was worth it,” Gvozdyk said. “Having Teddy [Atlas] in my corner was a huge help. He knew exactly what to say to me. We trained so well for this fight and I knew I was going to get the knockout. “Adonis was a great champion, but it’s my time now. He got me with a good shot in the 10th round but I handled it and finished him.